3. Powerful production : The supply ability of our perfume is 20000 pcs per day. 4. Excellent teamwork : professional perfume design and test. 5. 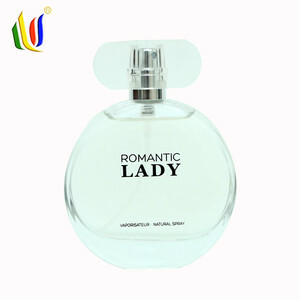 Reasonable price: We are the professional manufacture of perfume with good factory price and service. Our Advantages AZBANE has nowadays more than forty years of experience and exports to more than fifty countries all over the world. Throughout the years it was able to gain the status of the leading cosmetics manufacturer in Morocco. All necessary documents are sent to customers to meet the countrie's import regulations. 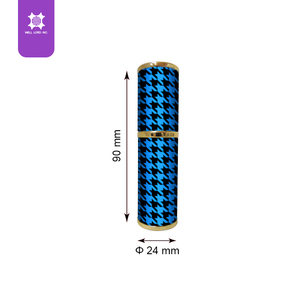 Related Products About the products: Nice bottle refill 20ml color coating glass bottle for perfume Feature: Superb technology, fashion modeling; Add fashion sense. The metal atomizer provides a fine spray mist. Product Name: Nice bottle refill 20ml color coating glass bottle for perfume Material: Glass Color: Shiny gold, or as your requirements. Guizhou Xu Bo Yang Technology Co., Ltd.
Nice colorful roll on deodorant glass bottle 5ml with metal roller ball roll on glass bottles 5ml roll on deodorant glass bottle roll on bottle with metal ball Product name glass 5ml roll on bottle with steel ball Size 5ml,3ml 10ml material Glass Color for bottle Amber, clear, red, blue, green Caps Steel/glass roll Color for cap plastic black, alumite silver,golden Surface treatment label, silk screen,paint color, frosted/matte Usage essential oil ,perfume,deodorant,,, Delivery 2-15 days as quantity size for roll on bottle Height for bottle (mm) Height with cap (mm) Diameter (mm) Neck(mm) weight(g) 5ml 45 56 16 13 28 10ml 71.5 85 20 16 40 Our Superiority 1&gt; High quality , we are factory of 6 year- experience . Specialize in Glass dropper bottle, Skull bottle, Square bottle ,Plastic pe bottle , Plastic pet bottle ,Plastic/Glass cream jar . For the usage : Eliquid oil, ejuice oil, perfume, essential oil , cosmetic ,eye cream, facial cream. 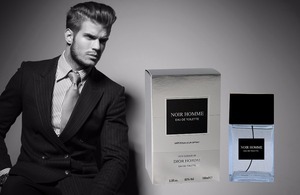 Alibaba.com offers 544 nice blue perfume products. About 25% of these are perfume, 16% are bottles, and 1% are air fresheners. 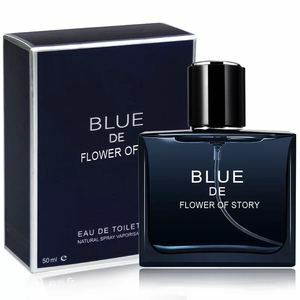 A wide variety of nice blue perfume options are available to you, such as eau de parfum, parfum, and eau de toilette. You can also choose from floral, spicy, and fruity. As well as from male, female. And whether nice blue perfume is free samples, or paid samples. There are 468 nice blue perfume suppliers, mainly located in Asia. The top supplying countries are China (Mainland), Thailand, and Taiwan, which supply 94%, 1%, and 1% of nice blue perfume respectively. 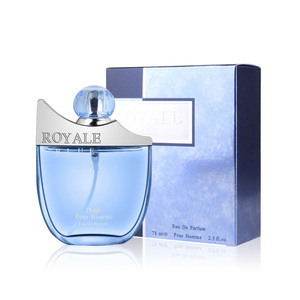 Nice blue perfume products are most popular in Mid East, North America, and Domestic Market. You can ensure product safety by selecting from certified suppliers, including 197 with Other, 111 with ISO9001, and 93 with GMP certification.